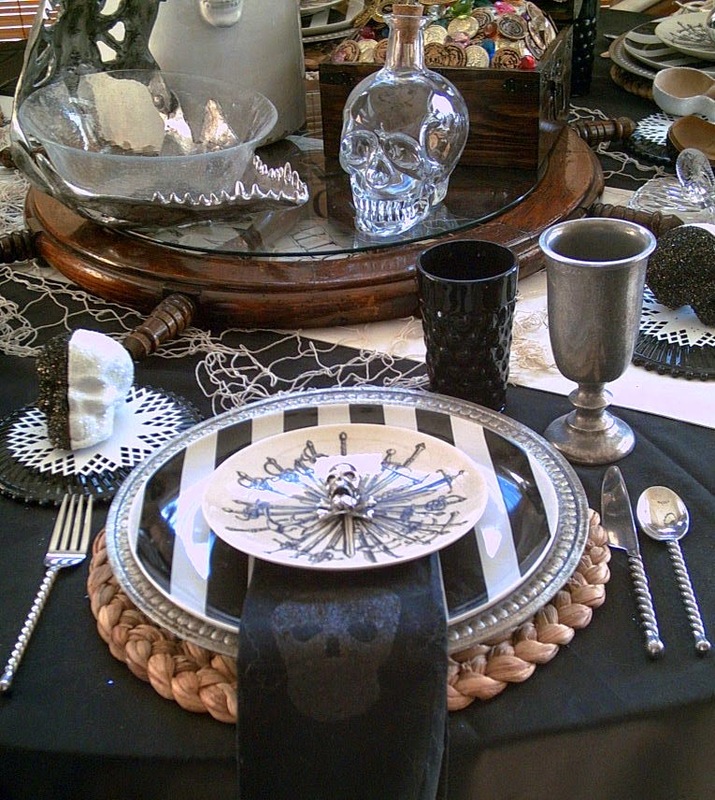 My Goodness Valarie, You are so talented at creating tablescapes! I love this pirate them. 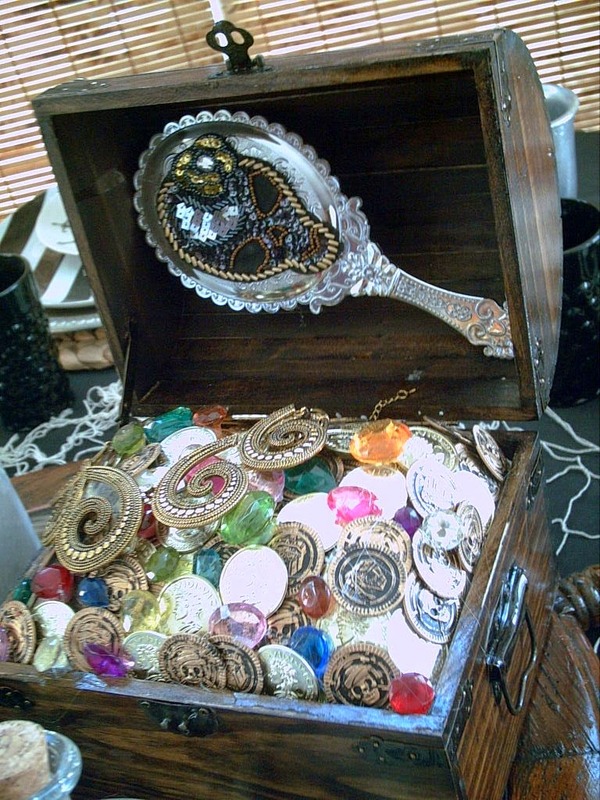 The treasure chest and the Captain's wheel are most impressive. Bless your little heart lady, I just love this table! WOW! 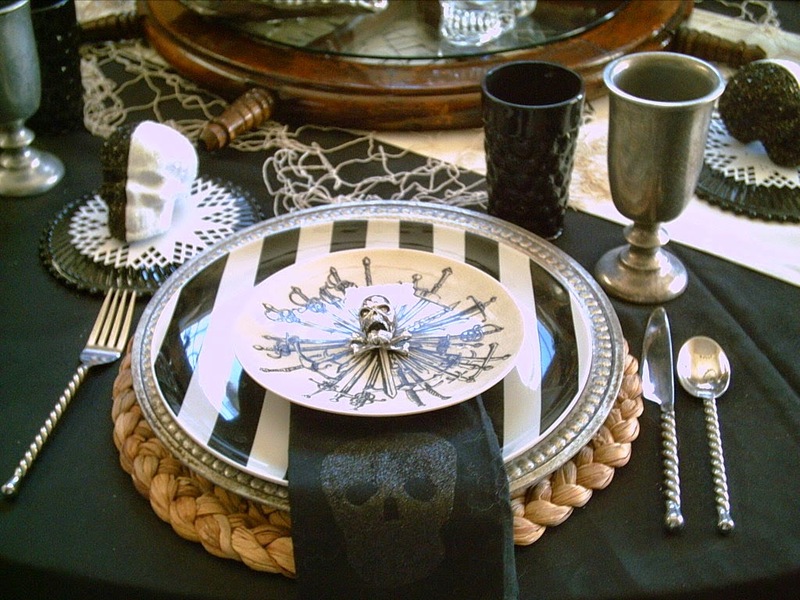 This a fabulous pirate tablescape! I love your Day Jones in the scene. The centerpiece is full of so many creative pieces and I must go back and view again. 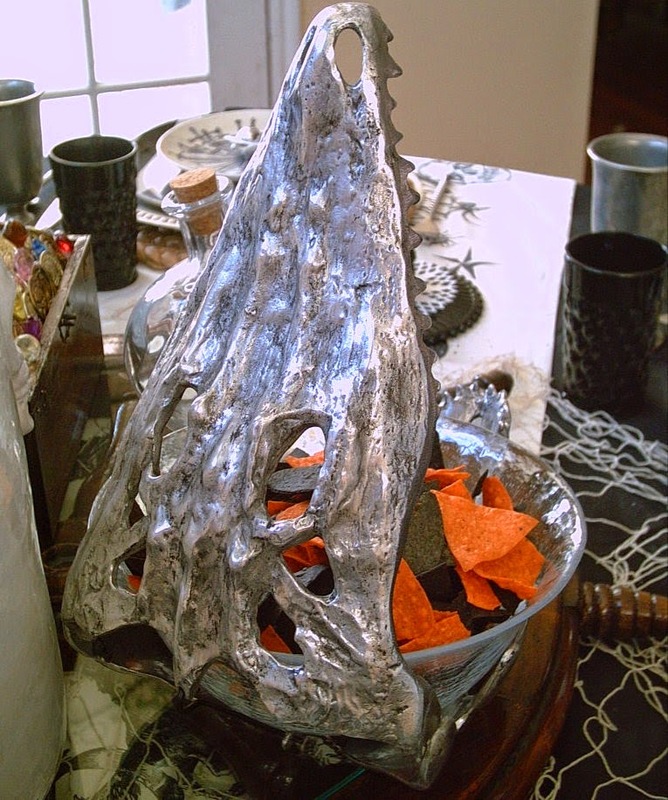 I love the layers in your place setting especially the sword plate. Please, take a peek of my Lemon Zest post this week! We enjoy "Talk like a Pirate Day" at our house too! Your tablescape is amazing-so many details! Such a lovely tablescape, packed with whimsy and fun. 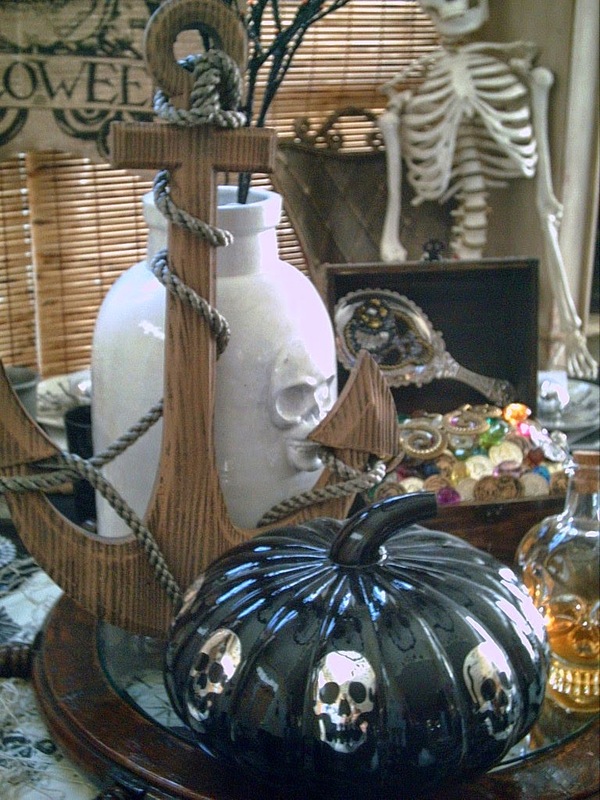 Love the pirate theme....very different. You always have the best collections. 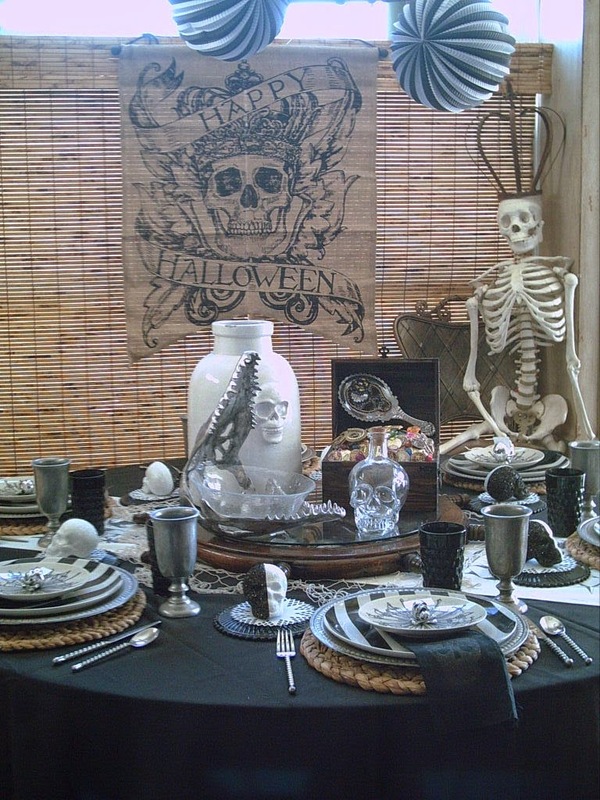 A truly fantastic tablescape! 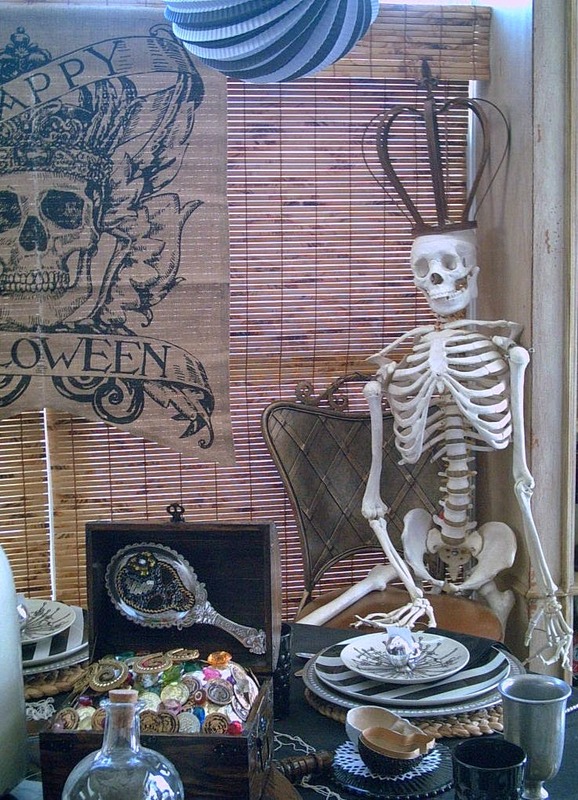 I laughed at the skeletons crown! I love your table! I love Pirate O's too! 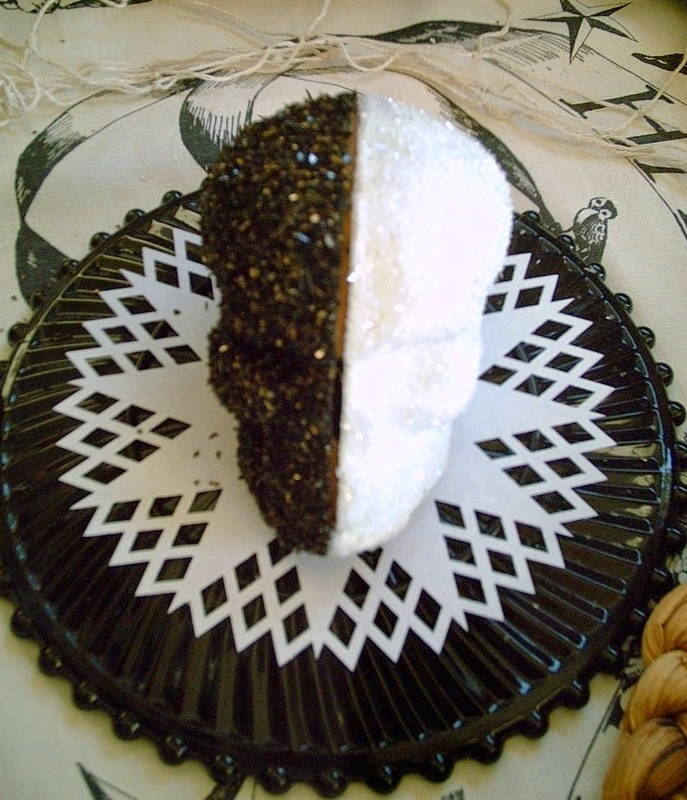 The Martha Stewart craft is fabulous and so is your skull jar! What a great collection you have, especially that croc with its jaw wide open! 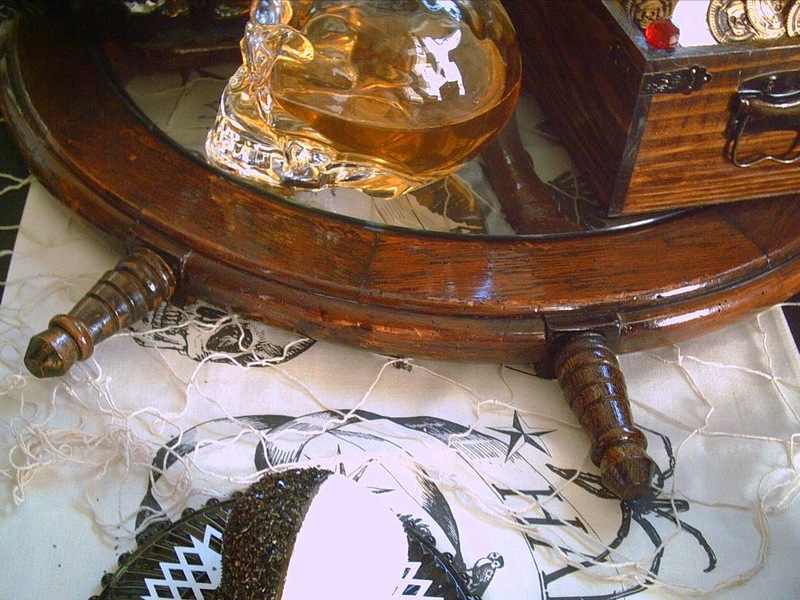 Perfect table fer International Talk Like a Pirate Day!